Another big get at BEA that I didn't get! I still haven't finished the Grisha trilogy. I really liked the first book but haven't gotten to the rest. Still excited for this new series though. I'm curious about this book, but I'll probably wait a while to read it. I hope you enjoy the book once you get it! Sounds amazing for so many reasons that it would take me ages to list them all. :) Great pick! I can not wait for this one too. Great pick! YES! This sounds amazing and just the perfect "me" book! I am so excited to read this one and I hope it's just as amazing as it sounds. Most definitely looking forward to this one!! I can't wait to read this one! I wasn't able to get a copy at BEA so you are not alone! Great choice! This one sounds really good. I still haven't read anything by Leigh Bardugo. 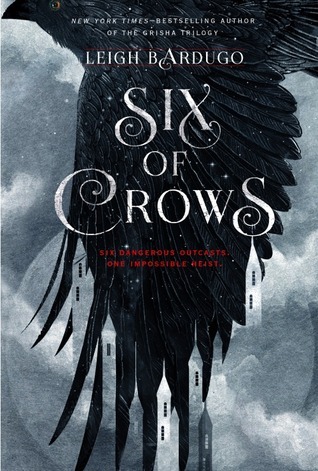 I only read Shadow and Bone and didn't like it enough to continue the series (though it took me very little time to finish the book) but I love the covers and I love this cover and since this is a new series (and I did like the world it was set in) maybe I'll give this book a shot hmm.